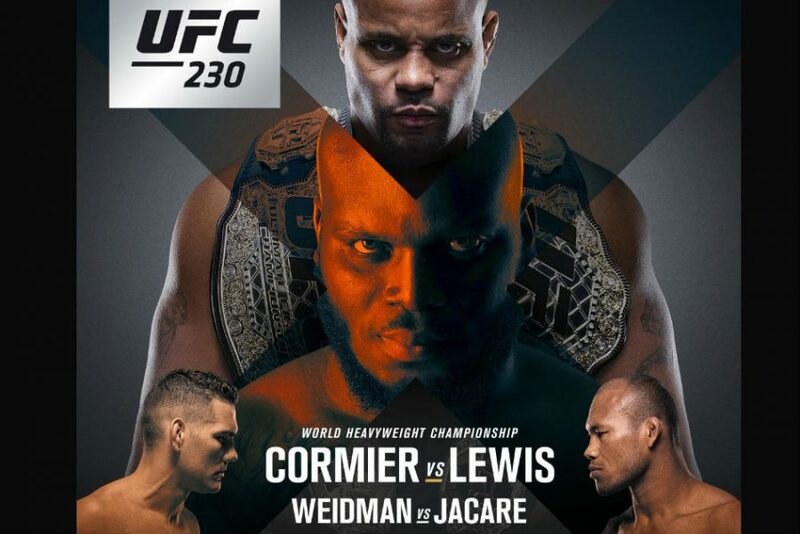 Last Saturday, Nov. 3, 2018, Heavyweight contender, Derrick Lewis fought UFC heavyweight champion Daniel Cormier at the main event at UFC 230. Cormier made light work of Lewis getting him to submit midway through the second round of the fight. This didn’t come as a surprise to most considering Lewis’ last fight came just less than a month ago. Cormier took advantage of his wrestling skills early in the fight and was able to capitalize halfway through the second round when Lewis let his guard down and he was able to place him in a choke hold. Many expected a better fight than what happened but some could have easily seen it coming. “It was a total bummer, I waited four hours to watch some guy tap out after three minutes and it was rather disappointing and really didn’t live up to the hype,” junior Peter Kougias said. What really stole the night what the Co-Main Event. Chris Weidman fought Ronaldo Souza and it was the fight of the night. Weidman was the favored winner but got knocked out in the third round. This fight was way more entertaining as it was a back and forth brawl that would’ve been a very close decision if it went to the judges scorecard. Another highlight of the night was when Cormier called out Brock Lesnar during his post fight interview. This has been an ongoing feud between the two since Lesnar gave Cormier a shove during his last post fight interview. The WWE is no stranger to the UFC and many well known fighters have competed on both stages. Cormier broke a new record for being the first fighter to successfully defend two title belts in a single fight. This last fight seemed to be a “walk in the park” as he described it himself implying that the thirty-nine year old fighter is not close to being done yet and will continue to fight and hod onto those Championships as long as possible.